This November, vote YES on 12! It’s cruel and inhumane to lock animals in tiny cages for their whole lives. It causes extreme suffering and increases food safety risks. Farm animals and California consumers deserve protection from such inhumane and substandard products in the marketplace. Many other states and food retailers have adopted cage-free standards—it’s time for California to follow suit. YES on Prop 12 is a coalition of California veterinarians, family farms. animal shelters, farmworker organizations, food safety groups, and animal protection organizations. 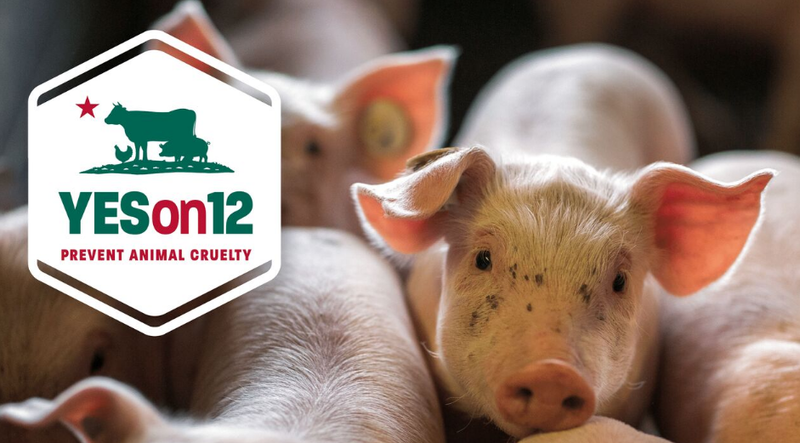 Prop 12 will be voted on in the November 2018 election to upgrade California’s laws relating to the extreme confinement of farm animals. Marin Humane has a long history of protecting all animals and we take great pride in basing our legislative decisions on fact, updated science, and improving the lives of animals. Of special note are the hundreds of California veterinarians and family farmers in support of Proposition 12.